Welcome to BJ Gunter Co., Inc.
are reasonably priced and comprehensive. We work with you to accurately represent your place of business, and the message you want to send to clients. At BJ Gunter Co. we also place functionality as a priority of each project. Your workplace should not only be attractive; it should help promote office efficiency. When you choose BJ Gunter Co., you're choosing value, experience and superior customer service. 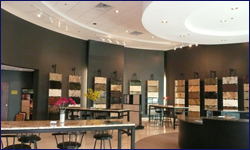 Please contact our professionals at: 770-433-0793 to discuss your next commercial construction project. If you are interested in being placed on our bid list please download the subcontractor qualification form, complete it and return it to us. BJ Gunter Co., Inc. serves in and around the Metro Atlanta area, including Alpharetta, Chamblee, Decatur, Hapeville, Kennesaw, Lawrenceville, Marietta, Norcross, Roswell and Smyrna.